If the body could speak, what would it say? 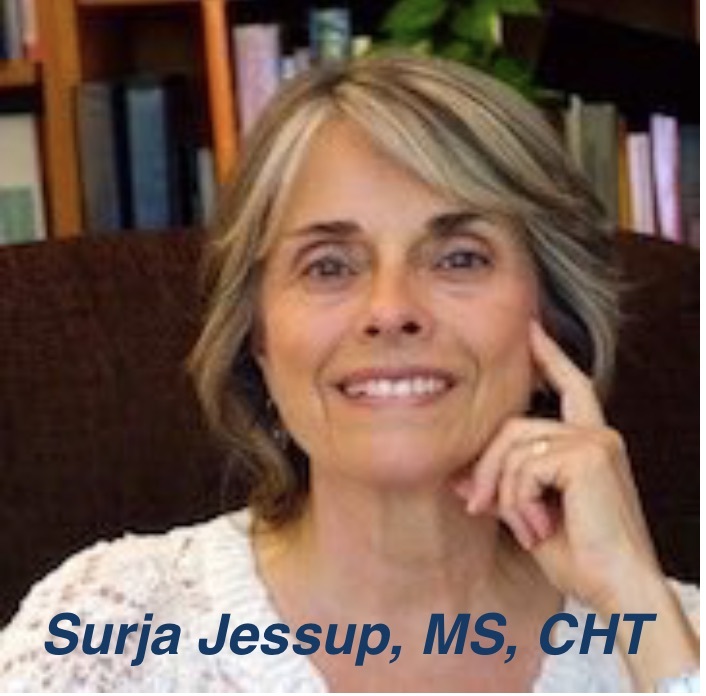 Surja's article, A Child's Head Revisited is featured on SOULS CODE website... As a hypnotherapist, body-worker and holistic practitioner, I am frequently challenged in sessions with clients by resistance to change due to experiences in their past. By Surja Jessup, M.S., C.H.T. As a healing arts practitioner who uses hypnotherapy, body work, and counseling, what I value is creating a safe place for people to be fully present with themselves, as well as guiding them deeper into their inner being, where powerful resources for healing lie hidden. Most people come to see me in some kind of pain or discomfort about their lives. They might be in transition, experiencing physical or emotional stress, struggling with a creative block, or wanting to release self -defeating habits. In any situation, the first thing I offer is body relaxation through acupressure, breath-work, and guided imagery, which gives people an opportunity to let go of tension, and take a hypnotic journey to the events which need healing. Often there is a memory or an old trauma, which can be subconsciously affecting a person's life in a negative way. When the person receiving the session is simply present with the old trauma with full attention and loving awareness, the energy contraction held in the body/mind can be released, and the limiting mental story dissolved. Emotional pain is connected less with actual events from the past, than with feelings which get held in the energy body, and remain held in place with guilt, shame or resentment . All of this can in turn create a deep subconscious ãstoryä which gets imprinted in the mind, and told over and over. Often the story is connected with feelings of victimization or helplessness, which get projected onto the present situation, such as a job, relationship, etc. In this way, things are not seen as they really are, but become distorted by conditioning from the past. Hypnotherapy is a powerful tool, because it can help heal the past, so we can see the present moment as it really is, rather than through the “child’s eyes” in memory. How amazing it is to have the possibility of a direct experience of life, freed from the past; and even more amazing to realize that the key to healing lies within the inner self, where clear seeing can be accessed. Then this moment is fresh with new possibility. If a person is experiencing illness, there is an opportunity to look without judgment, being fully present with symptoms, and truly listening to what the body wants to communicate through the illness. Sometimes illness is an attempt to bring something back into balance. When the gift or deeper understanding of the illness is recognized, the illness may be able to be released. By listening to the inner body, one can stop resisting what us happening, and be present with what is so. In this way the body can start to strengthen, because there is no longer a struggle. Another important aspect of my work as a healing arts practitioner is to assist the person receiving a session to look deeper and see where the source of the pain is coming from. Many times what we think is the voice of truth is in disguise as one of the ego’s inner voices, such as the cynic, the judge, the rescuer, the victim, the rebel, etc. A lot of pain can come from believing these voices, because they speak from confusion and fear. There is a process I use derived from a spiritual practice in India, in the non-dual or Advaita tradition, which looks beneath the voices of fear into the singular voice of the truth. In this process, I ask the person to look very deeply at the thoughts he or she is identified with, and ask, “Who is believing this thought?” Often the person can see that it is the conditioned mind believing the thought, and as he/she lets the conditioned mind relax, the false belief falls away, revealing peace, silence, presence. In this presence, a deeper truth, the truth of this moment reveals itself, allowing relaxation and well-being to be experienced. Thus, the key to healing is always within the self, in the underlying wholeness of each person, which is always here and now. This article originally appeared in Open Exchange, September/October 2000. ©2014 Surja Jessup All Rights Reserved.